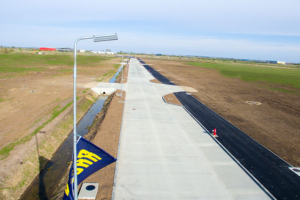 The 41 lots of the industrial park are provided with European standard infrastructure, in order to satisfy the requirements of any investor. The utilities provided for Banat Business Park are: electricity, gas, water, fire network, sewage, access paths, telecommunications. 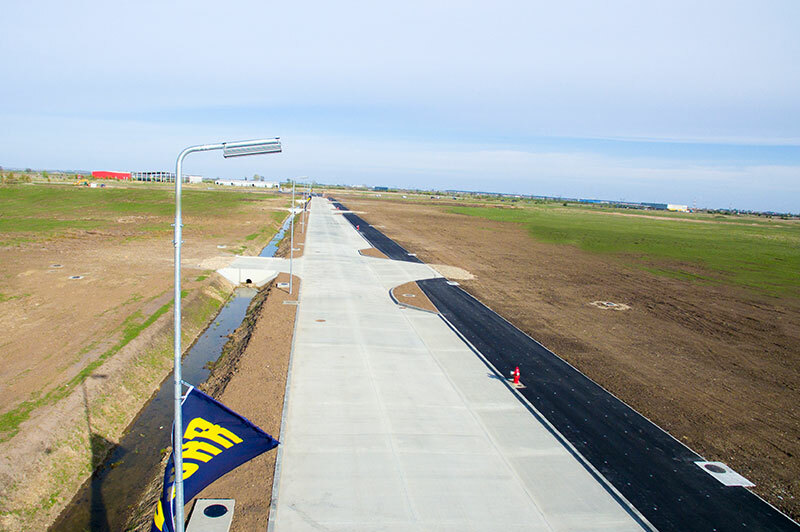 The infrastructure for the electrical connection of each lot is done by means of underground tubes which may be used to introduce the connection cables. 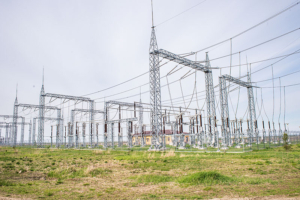 The electrical connection will be achieved subsequently according to the needs of each client, being either low voltage or medium voltage. Near Banat Business Park, there is a transformation station with a 250 MW capacity, which can supply the industrial park. The entire industrial park is provided with street lighting. The gas supply will be done from the existing network for the distribution of natural gas. 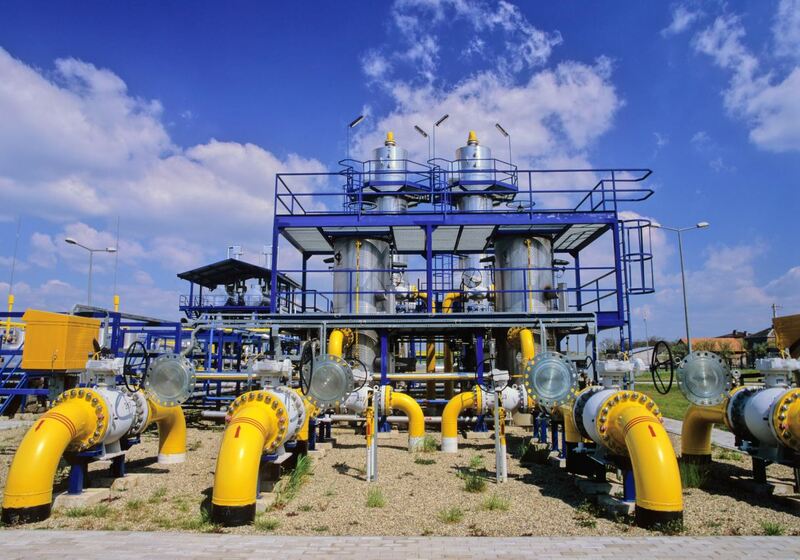 The average pressure is at about 100 m from the property limit of the industrial park, which is part of the public system for the distribution of natural gas existing in Sinandrei locality, Timis County. The network has been extended with branches on every street and may cover a large flow of gas for the client’s needs. The water supply will be done from the water management of the industrial park, made up of a retention basin and a pumping station. The water management is supplied from large depth drills on the perimeter of Banat Business Park. The distribution network is achieved on all the streets, providing the flow necessary to each client. The fire basin and the pumping station with which the industrial park is provided with complies with the quality standards of FM Global. The fire basin is supplied from low depth drills. 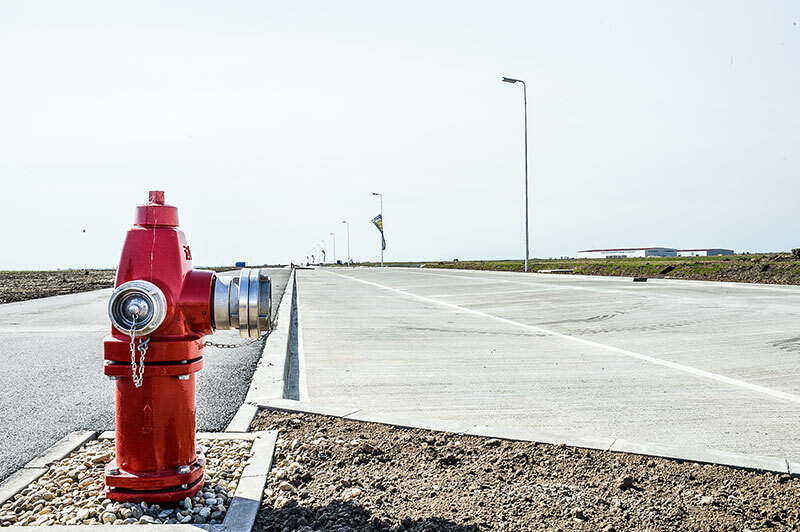 It can provide the necessary flow to build the network of hydrants from the premises and the inside of the buildings from each lot, there no longer being necessary to build a pumping station and a fire basin for hydrants on each lot. On the left side, the fire network complies with the quality standards of FM Global. On the right side, the fire network complies with the Romanian quality standards. Banat Business Park is also provided with a street network of hydrants. The household sewage is provided for all lots. On the left side of the industrial park, the household sewage is taken over gravitationally, and on the right side the household sewage in under pressure. On the right side of Banat Business Park, there is the pumping station for the household sewage which is connected to a network taking the waste water to Aquatim network of Timisoara. 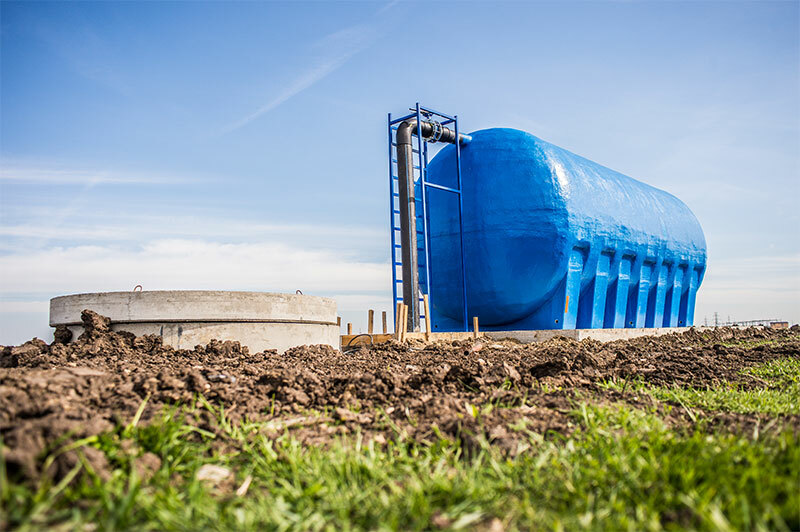 Currently there is a project through which the household sewage of Sinandrei locality, including that of the industrial park, will be taken over to be exploited and managed by the Water – Canal Administration of Timisoara. The presumed term for the taking over is during this year – 2017. 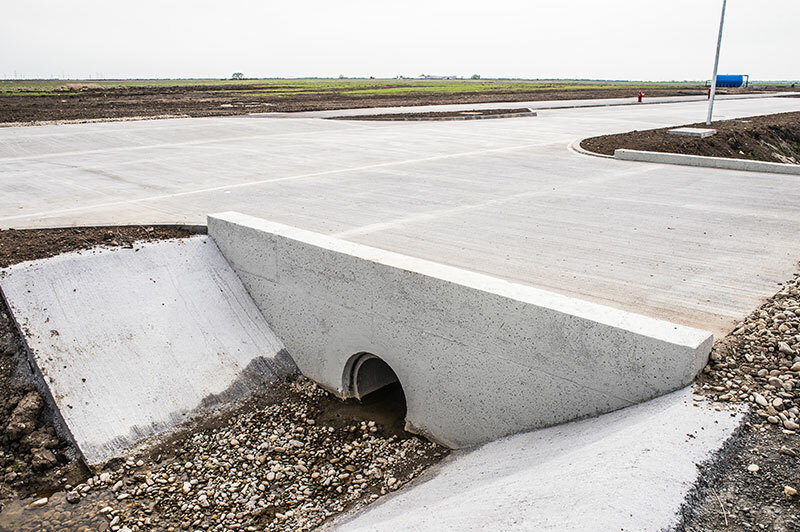 The rainwater sewage provides the taking over of the rain water from the streets, passing it through hydrocarbons separators and discharged in the ANIF canals. 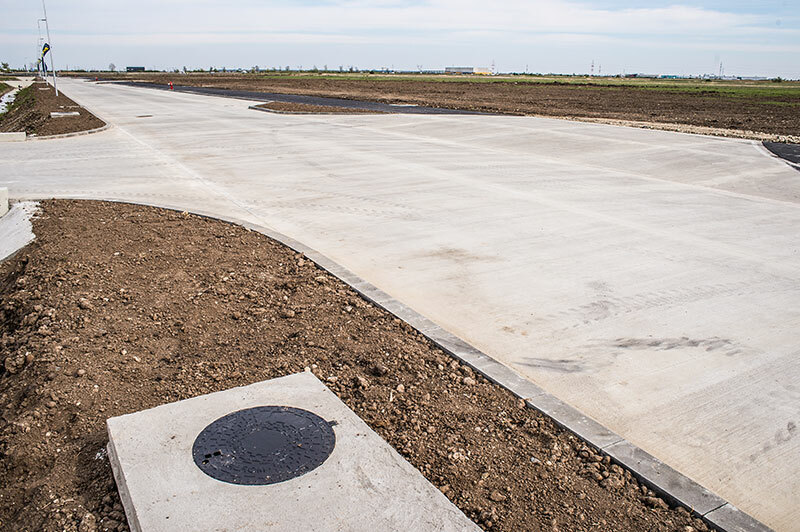 For the rainwater from each parcel, the investor will have to build a retention basin for the rain water, the discharge in the ANIF canal being provided by Banat Business Park. The roads from the industrial park have been designed in order to stand heavy traffic. They are bordered by pedestrian alleys and bicycle lanes.